On the fertilizer-starved continent of Africa, the discourses about soil fertility revolve around the availability of inorganic fertilizers, and how policy – subsidies, tariffs, markets – can be made to support their use. 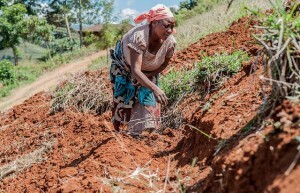 Supporters say that poor farmers are not able to make investments in restoring degraded soils because it takes too long to see yield increases or benefit from soil improvement measures. Poor farmers simply can’t wait that long to see results – they say. But in degraded, low-input and low-output systems so prevalent across the continent, agro-ecological approaches, including principles of organic farming – if properly managed – can increase yields immediately and restore soils to support productive farming. Is investing in inorganic fertilizers really a better option than restoring soils over the long-term using an agro-ecological approach? Join the debate in the comments section below: Can poor farmers afford to invest in restoring degraded soils? In part, the focus on inorganic fertilizers comes from a persistent debate during the 70’s and 80’s around organic agriculture in North America and Europe. There was great concern then – as there is today – that organic farming, if practiced over large areas, would threaten food security. Yields from organic farming were always going to be lower, the discourse went. Only hippies, idealists – and the privileged few – could afford organic. Yes – a shift from high-input, high-output conventional to organic farming on large-scale farms in California resulted in lower yields – at the beginning. A long-term experiment was set up at University of California Davis in 1988 to figure out how to make the conventional-to-organic transition least painful, using crop rotations and nutrient management. Now, decades later, this experiment is helping drought-stricken farmers in California battle water shortages by planting cover crops to improve infiltration and soil carbon (see blog here). Since then, several global studies have explored the debate, with surprising results. In 2007, a University of Michigan meta-review found that, in developed countries, yields were almost equal on organic and conventional farms. More recently, Lauren Ponisio and colleagues at UC Berkeley, found organic yields 19% lower than conventional. 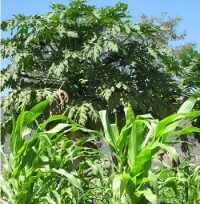 But – these yield differences could be offset using agro-ecological practices such as crop rotation and multi-cropping. For crucial food security crops like beans, peas and lentils, there was no yield gap at all. Yet in poorer countries, the entire yield gap phenomenon disappears. In 2006 Jules Pretty and colleagues, including from the International Water Management Institute, published a study demonstrating that agro-ecological farming interventions not only improved the supply of critical environmental services. In the 57 poor countries where the interventions were applied, across 37 million hectares of land, productivity increased on almost 13 million farms.The average crop yield increase was 79%. All crops showed water use efficiency gains,with the highest improvement in rainfed crops. There’s more. Carbon sequestered on average amounted to 0.35 tons of carbon per hectare each year. More than 70% of farms that used pesticide slashed theiruse by 71% – yet their yields rose 42%. In 2007, the Michigan study reiterated these results. They revealed that organic farming can yield three times more food on individual farms in developing countries than low-intensive methods on the same land. The fact is low-input, low-output systems productivity is very low. Farmers in Tanzania may get less than 0.5 tons per hectare of maize on depleted soil – yet the potential is ten-fold that. 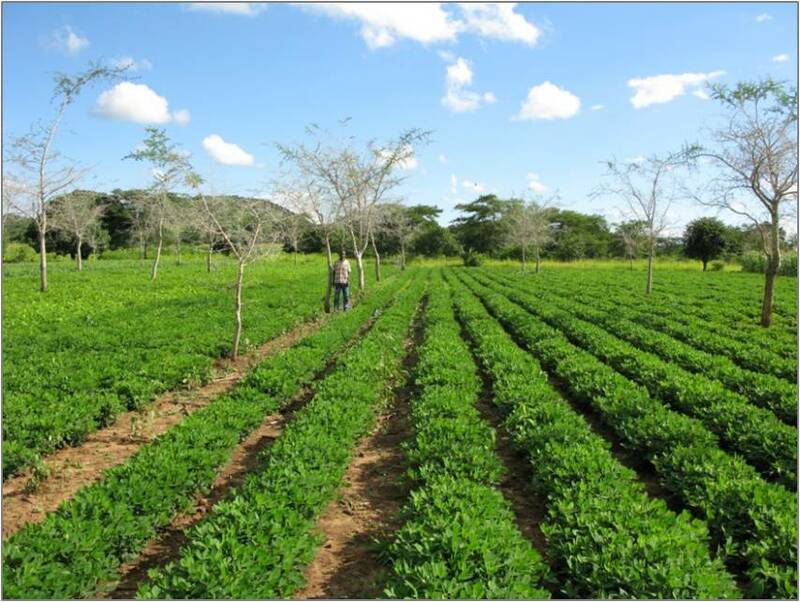 In these systems, intensification implies more local and organic inputs; more management – not less. Another persistent narrative is that agro-ecological approaches are for only a few select farmers who can access premium prices for organic produce. Organic is a niche market. But this argument couples organic farming practices with organic produce marketing – implying that those who don’t get premium prices lose out. As the above shows, they don’t. 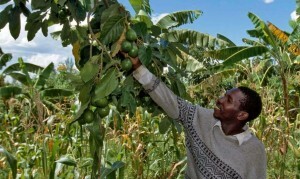 In a study by Niels Halberg, of International Centre for Research in Organic Food Systems (ICROFS), and the International Food Policy Institute (IFPRI) it was found that shifting to organic farming can lead to higher food security in low input, low yield areas where hunger is most severe, and may even increase regional food self- reliance. Exactly what is needed in sub-Saharan Africa.